At VetTRENDS®, we believe in creative thinking. We are revolutionizing veterinary patient care and bringing a new dimension to veterinary medicine. Our veterinary vital signs monitoring system addresses clinical needs throughout the continuum of patient care. 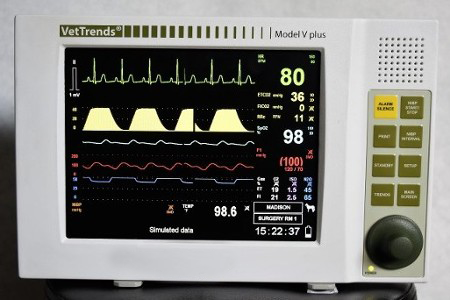 A Monitoring system designed specifically for veterinary patients... 100% designed, manufactured, and serviced by qualified, experienced vital signs monitoring technicians and engineers in the United States. It's portable, rugged, accurate and intuitive. Our VetTRENDS® monitoring system is designed for every level of patient care, but is still the simplest monitor on the market. It's easy to operate, and sure to please your staff. Their time is better spent with their patients, not learning how to use a complicated, imported monitor made for humans. 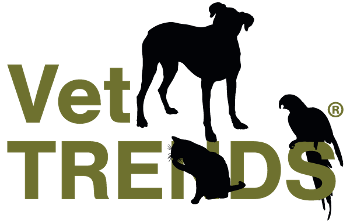 "The VetTRENDS® veterinary monitor is a great, compact monitor. 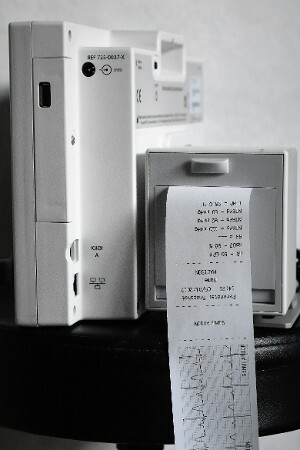 The ECG works great on small patients registering a heart rate of up to 400 beats per minute." VetTRENDS® is a different type of company; our focus is on improving patient outcomes. 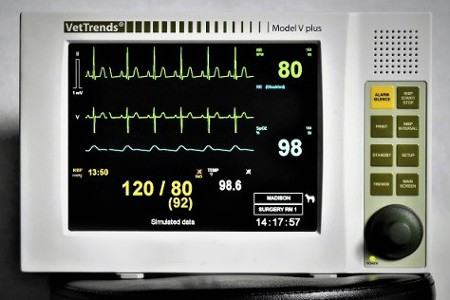 Our cutting-edge veterinary vital signs monitor sets that bar higher than ever before. 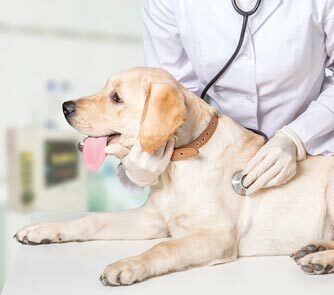 When veterinary specificity, quality, accuracy, and reliabilities are important, there is only one veterinary monitor for your practice -- ours. We are redefining vital signs monitoring at many veterinary practices. Our primary business is designing our monitors; it's not a sideline. We are not a big-box, one-stop importer. We believe veterinarians buy vital signs monitors to save lives and improve outcomes, not to make money. So we look forward to discussing how monitoring your patients with our reliable monitors will give you peace of mind. We have been supplying the veterinary market since 2001, though you may not have heard of us unless you operate a veterinary school or an emergency hospital. The majority of our new clients come to us by referral after speaking to one of our satisfied customers. We don't make claims we can't support. Our products are sold to some of the most critical clinicians in veterinary medicine who demand reliability, honesty, and transparency. We proudly assume the responsibility to maintain high values. Call us to discuss your monitoring needs and let us send you our impressive list of references.